Bayfield head coach Danny Petrie makes sure Max McGhehey (15) is focused prior to leading off the Wolverines’ 2018 season against Gunnison on Saturday afternoon at Olathe’s Hubbard Field. The Durango High School boys lacrosse team shook off Thursday’s home loss to Telluride with a spirited performance against Glenwood Springs (1-2) on Saturday at DHS. The Demons (2-1) came back from an early deficit, then blew the game open in the third quarter en route to an 11-7 victory. Tied 4-4 at halftime, the Demons broke the game open in the third with four goals in a row from Cullen Robinette. Cullen Robinette led the Demons with five goals and added an assist. Tommy Rodgers added two goals and two assists, Ryan Smith had one goal and three assists, and Corbin Randle had one goal and one assist. Liam Farkas added one goal and nine ground balls, Harrison Kairalla won 6-of-17 faceoffs, and goalie Curran Gaver made seven saves. The Demons (0-1 5A/4A Mountain League) will be back on the field to face rival Montrose (1-2, 1-1 ML) at 4 p.m. Tuesday at DHS. Girls LacrosseThe Mullen High School girls lacrosse team was too much for Durango, as the Demons fell to the Mustangs 18-5 Saturday at Durango High School. Mullen (2-1) took control in the first half and held a 12-3 lead at halftime. Individual stats were not available, but Mitchell said Gwen Irwin, Joie Raybourn and Kiara Valley all scored goals for the Demons (0-5). The Demons will be off until Friday when they host Summit (1-2). The Bayfield baseball team held off a late push from Gunnison to earn a 10-9 victory Saturday in Olathe. The win got the season started right, and the Wolverines would add a second victory in a 10-1 win against Olathe. Against Gunnison, the Wolverines (2-0) scored six runs in the second inning to get their lead to 7-0. Gunnison (1-1) began chipping away at the deficit with two runs in the third, fourth and fifth innings and trailed 10-6 entering the seventh inning. In the seventh, the Cowboys scored three runs before the Wolverines got the final out of the game to secure the win. Hub Brandon paced Bayfield at the plate. He went 2-for-4 and drove in three runs. As a team, the Wolverines had 11 hits from seven different players. Junior Hayden Farmer earned the win. He pitched three innings, gave up two hits, walked two batters and struck out six. Two runs scored against Farmer, but none were earned. Against Olathe, Andrew Morgan pitched a complete game. He allowed five hits in six innings and walked two, and he struck out nine batters. Brandon was 2-for-3 at the plate with a triple, two RBIs, two runs scored and a walk. Michael Gettman went 2-for-3 and was hit by a pitch. He stole four bases. Farmer went 1-for-3 with a RBI and a run scored to go with a sacrifice fly. Ethan Morris and Shane Moore each had RBI doubles in the five-run sixth inning that put the game away. BHS will be on the road again Tuesday at San Juan High in Blanding, Utah. First pitch is scheduled for 3 p.m.
Ignacio High SchoolThe Ignacio High School baseball team picked up a 13-9 victory against Dove Creek (3-2) in its first game of the Bobcats’ home tournament Friday. Ignacio dropped two games Saturday to close out the tournament with a 10-8 loss to Sargent and an 8-7 loss to Salida. Against Dove Creek, Ignacio’s Kai Roubideaux earned the win after pitching 1 1/3 innings in relief. He struck out three batters and did not allow a base runner. Kruz Pardo started on the mound for Ignacio (1-0) and pitched four innings. He gave up five runs on four hits, walked three and struck out seven. Cole McCaw led the Bobcats at the plate with a 2-for-3 performance with a triple and three runs scored. Joe Herrera, Trace Lovelace and Pardo all went 2-for-4 at the plate for the Bobcats. In the loss to Sargent, IHS had 14 hits to only five by Sargent. Marcus Chapman was 3-for-4 with four runs scored, McCaw went 3-for-5 with three RBIs and a run, Pardo went 3-for-5 with three RBIs and a run and Roubideaux was 2-for-3 with an RBI and a run scored. Lawrence Toledo also went 1-for-3 with an RBI and a run scored. Salida overcame six fielding errors to beat the Bobcats by one run. Chapman had another strong game at the plate with a 2-for-3 showing that included two runs scored and three RBIs. Pardo was 3-for-4 with three RBIs and two runs. The Bobcats will get another shot against Sargent (2-1) on Saturday at IHS. Girls soccerDurango 5, Faith Christian 2The Durango High School girls soccer team lost a tough 1-0 game Friday to Lutheran, but the Demons bounced back with a 5-2 victory against Faith Christian on Saturday in Arvada. DHS head coach Robert Logan said the Demons (2-3) weren’t connecting on their passes Friday but cleaned it up against the Eagles (0-2). 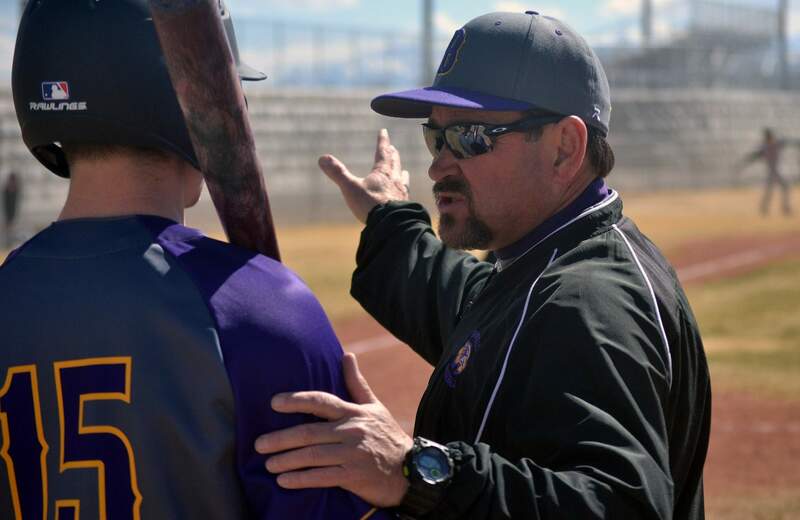 Roberts also praised the play of Durango’s back line and the Demons ability to limit mistakes. Taylor Klone netted two goals for the Demons, Emma Aggeler, Kylie Phipps and Maddie Dearien added a goal each. The Demons will have a week off before they meet Cherry Creek (2-1) on Saturday in Grand Junction. St. Mary’s 5, Bayfield 0The Wolverines tasted defeat by a score of 5-0 for the second day in a row, as the Bayfield High School girls soccer team lost to St. Mary’s on Saturday in Colorado Springs. BHS fell to Manitou Springs 5-0 on Friday. The Wolverines (2-2) trailed 3-0 at halftime against the Pirates (2-0). Mary Brummel recorded a hat trick for St. Mary’s with three goals. Faith Heery and Marisa Shigio netted a goal each in the match. Against Manitou Springs (3-0), Brooklyn Mack scored twice for the Mustangs, and Molly Arndt, Mylea Harangozo and Grace Olson scored a goal each. Bayfield will be back in action Saturday with a match against Crest Butte (2-0) at BHS. Crested Butte 8, Ignacio 0Ignacio High School’s girls soccer team fell to Crested Butte 8-0 on Saturday at IHS for the Bobcats’ third loss of the season. All three losses have come by scores of 8-0. Crested Butte (2-0) blew the game open with six goals in the first half. The Bobcats (0-3) will be back at home Saturday to host Telluride (1-0).